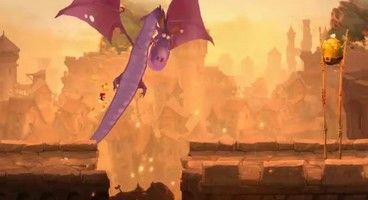 A sequel to Rayman Origins is in the works, according to an Arkenford marketing survey. A user sent photos of the survey to Neogaf, outing a number of new locations by doing so. "The sequel to Rayman Origins will feature brand new settings: legendary worlds filled with castles, vampires, ghosts, Greek Gods, or dragons." A slideshow appears to have been shown to participants, with a couple of screen grabs now available. We've contacted Ubisoft for confirmation. UPDATE: Response is in, and unsurprisingly, "Ubisoft does not comment on rumour or speculation."